What exactly are you inhaling when you vape? With the popularity of Juul and other trendy vaping products, researchers are becoming more interested in how long-term exposure to flavouring chemicals affects our lungs. What happens when various chemical compounds and flavouring agents are mixed together and then inhaled into the lungs? Nobody knows for sure. That's because scientists are just beginning to investigate the health effects of vaping products. A study published this week found unexpected new chemical combinations in vape liquids that appear to activate cellular irritant receptors. "Once the components are mixed there are chemical reactions happening that form new compounds with completely unknown toxicity," said Sven Jordt, a biochemist at Duke University School of Medicine. That could suggest a new reason to be concerned about long-term health risks from vaping. With the popularity of Juul and other trendy vaping products, researchers are becoming more interested in the effects of long-term exposure to the more than 7,000 flavouring chemicals used in vaping liquids on young lungs. "There is a big wave of users now coming up that have never smoked before that start using e-cigarettes and they are exposed to these chemicals," Jordt said. Some of the e-cigarette flavours can contain aldehydes. That interested Jordt's team, because aldehydes are one of the main irritants in smoke, causing coughing and inflammation. In their study, they looked at vanilla, cherry and cinnamon flavours. When they tested the resulting vaping mixtures, they were surprised to discover new compounds called acetals had formed. "What we see is these are not stable liquids and these flavours undergo chemical reaction modifications forming a wide range of compounds that we don't know much about." The researchers tested the acetals in human cells to see if they could activate irritant receptors and "found that they are a stronger irritant than the actual original flavours." Because the potential toxicity of the new compounds is different than either the basic vaping ingredients, usually propylene glycol and glycerin, or the added flavouring chemicals, the study concluded that "e-liquids are potentially reactive chemical systems," so just knowing the original ingredients is not enough to determine the long-term safety of the heated vapour. "Some of these flavours are safe to use in food, but there is very little safety information when they are inhaled," Jordt said. "We know the lungs are much more sensitive to chemicals than the skin or the digestive tract so this needs to be studied separately if there is a potential for causing disease, inflammation, asthma or emphysema." The answer reveals the public health paradox at the heart of the vaping craze. Compared to the profoundly toxic exposure from cigarettes, experts agree that it's much safer to vape. But for young people with no smoking habit and no intention to smoke cigarettes, chemicals in the flavoured vapour could pose long-term health risks that are still unknown. Eric Liberda, inhalation toxicologist with Ryerson University's School of Occupational and Public Health, said the results of Jordt's study need to be reproduced in animal and human models before the true health impacts can be assessed. "While vaping has been shown to be successful in terms of smoking cessation, this whole idea that youth have access to it and are not smokers to begin with but they're vaping could potentially be an issue," he said. "That still needs a lot more research." Health Canada has issued a guidance document for the vaping industry advising that flavour ingredients "should be of food grade or higher purity, and those substances with known inhalation risk (e.g., diacetyl and 2,3-pentanedione) should not be used." Diacetyl is the chemical associated with a condition dubbed "popcorn lung" after workers in factories that made microwave popcorn developed lung disease from breathing in the flavouring. When added to vaping liquids, it creates a buttery or caramel flavour, while 2,3-pentanedione is a diacetyl substitute. 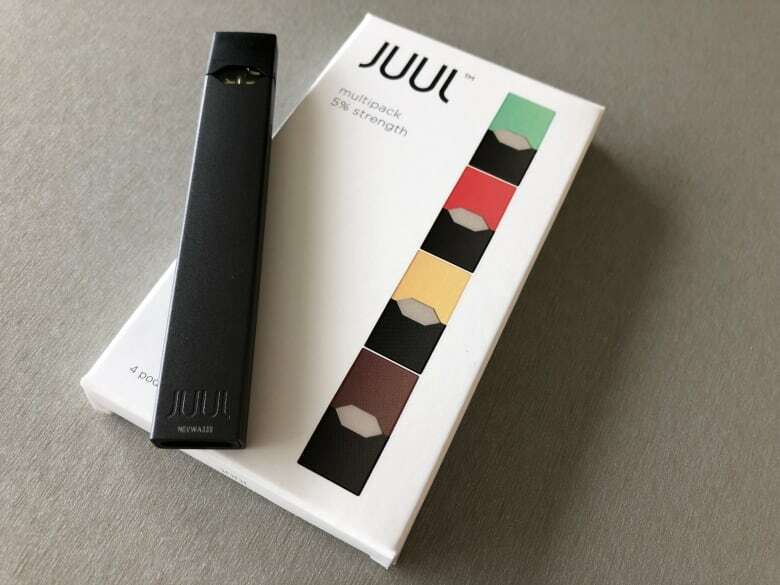 The company that makes the popular Juul vaping product says on its website it does not add those particular flavouring compounds. But no list of flavouring ingredients is provided. So far, no vape flavouring chemicals have been formally banned by Health Canada. "The use of flavours in vaping liquids is not restricted under theTobacco and Vaping Products Act,(TVPA)," Health Canada spokesperson Maryse Durette said in an email. There are also no federal requirements to list the flavouring ingredients on vaping packages in Canada. But companies are prohibited from promoting certain flavours on the packaging, including candy, dessert and soft drink, which might appeal to young people. 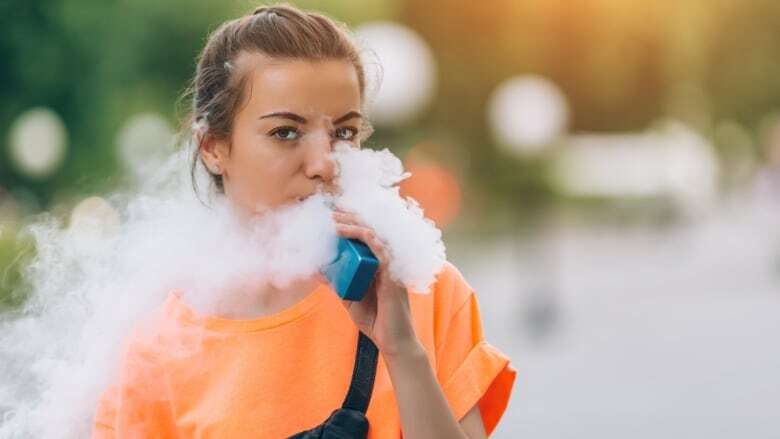 "While flavours help make vaping liquids palatable to adult smokers seeking a less harmful alternative to tobacco, the promotion of certain flavours may appeal to young persons and induce them to use these vaping products," Durette said. 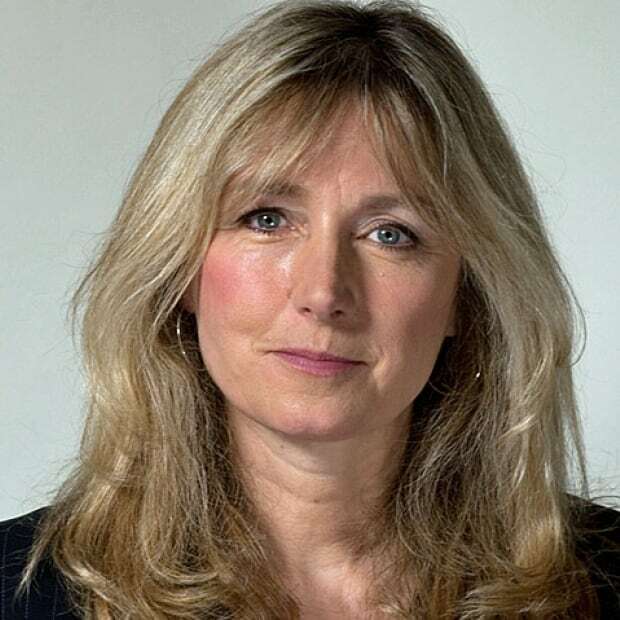 "In this way, the TVPA seeks to achieve a balance between these competing public health interests." Health Canada is still examining various proposals for regulating the vaping industry, including the requirement to list ingredients on the packaging. Jordt and his team concluded there is a need for "a rigorous process" by regulators "to monitor the potentially changing composition of e-liquids and e-vapors over time, to identify possible health hazards." If you enjoy reading Second Opinion, you might also like another weekly newsletter just launched by CBC News. It's called What on Earth? and will highlight trends and solutions that are moving us to a more sustainable world. To have it delivered to your email inbox every Thursday afternoon, subscribe here.